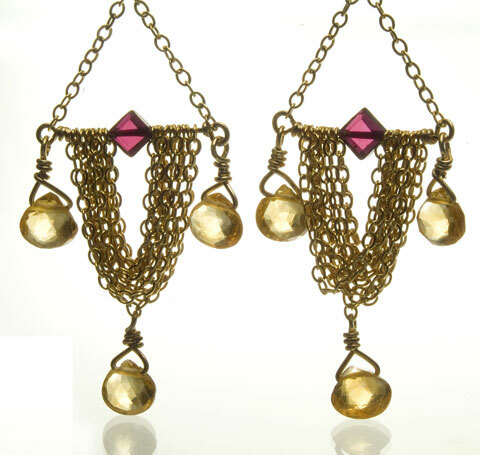 Layered gold chains suspend sparkling citrine teardrops and a diamond shape garnet bead in the center. The color combination is awesome and versatile . It stands out, yet goes with any color and any occasion.